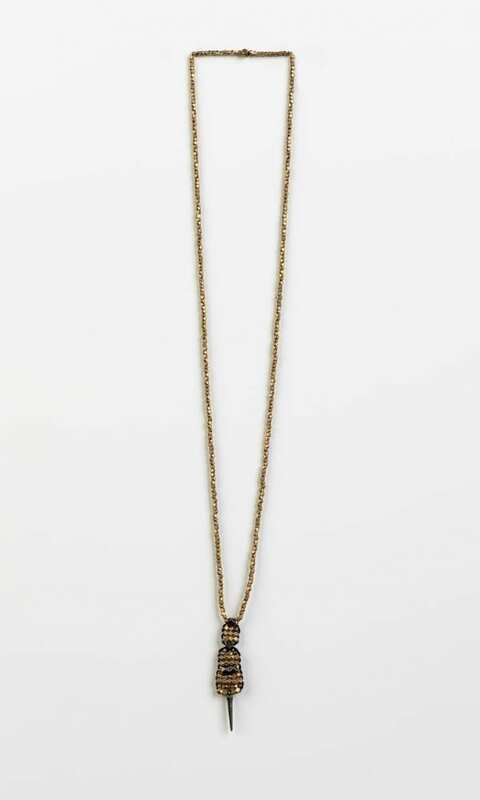 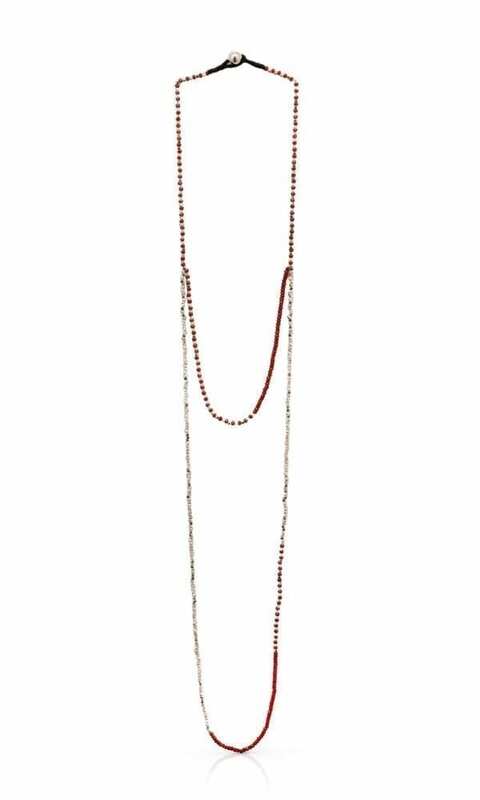 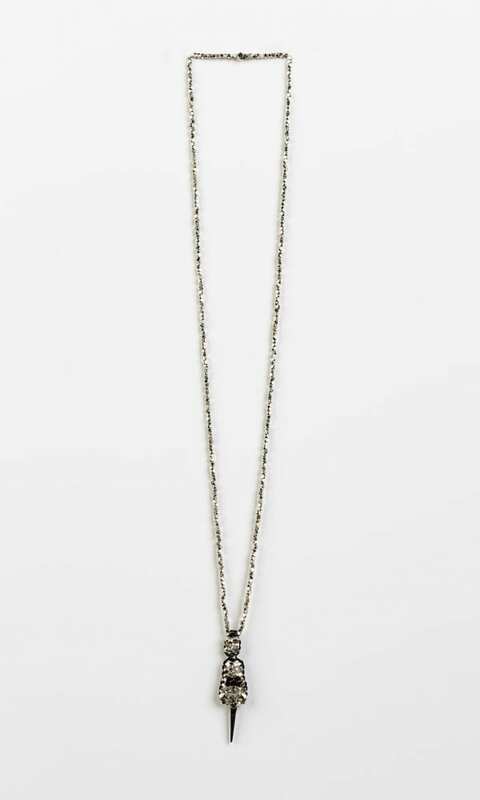 The Sweet Sixteen Necklace is a short minimalist necklace. 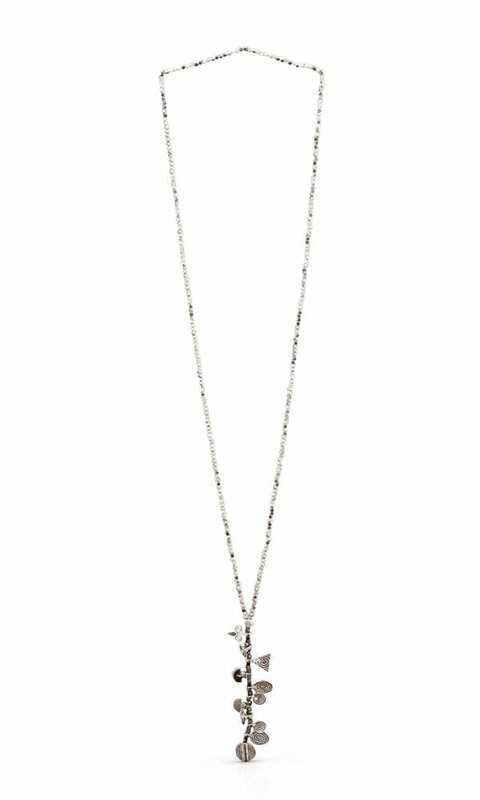 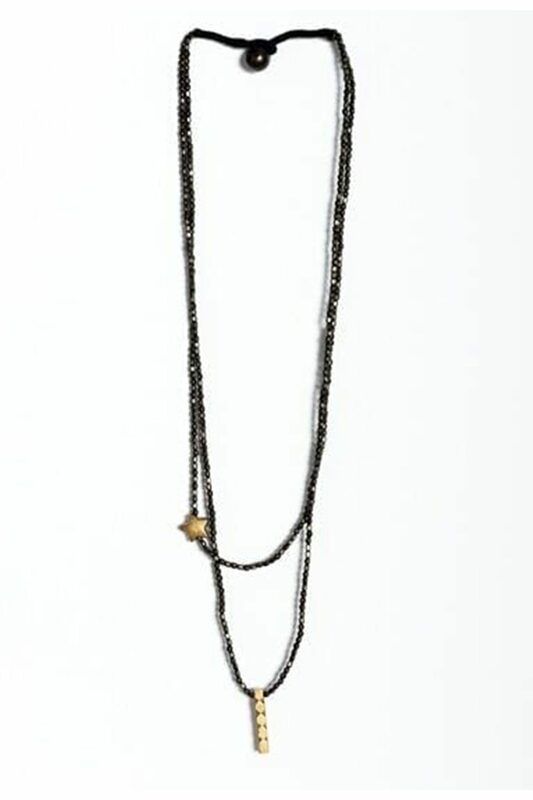 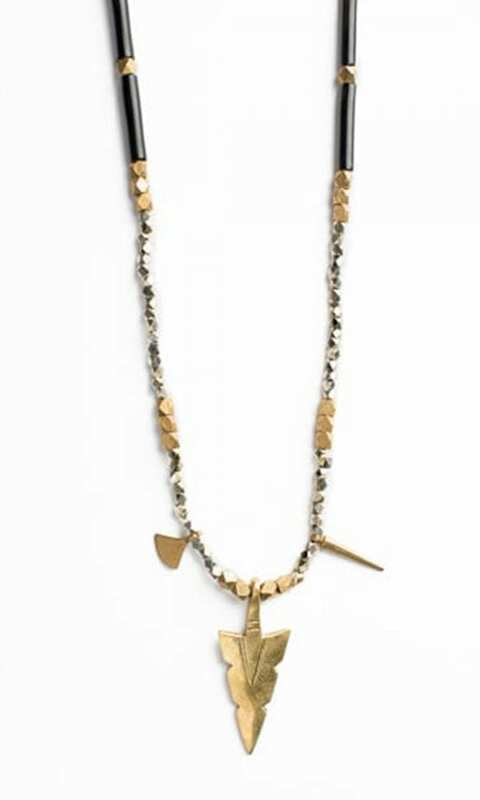 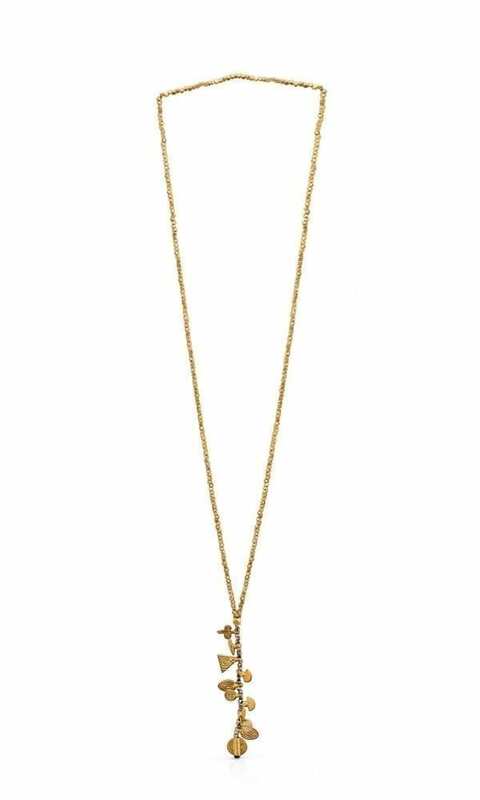 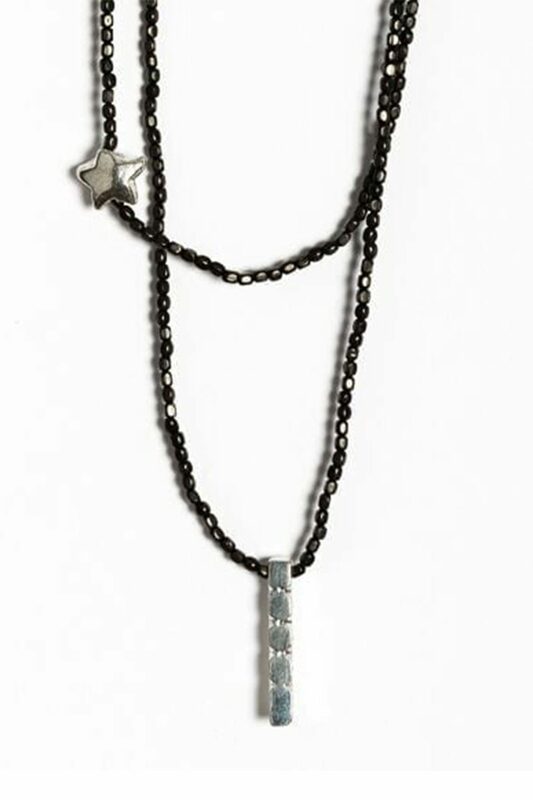 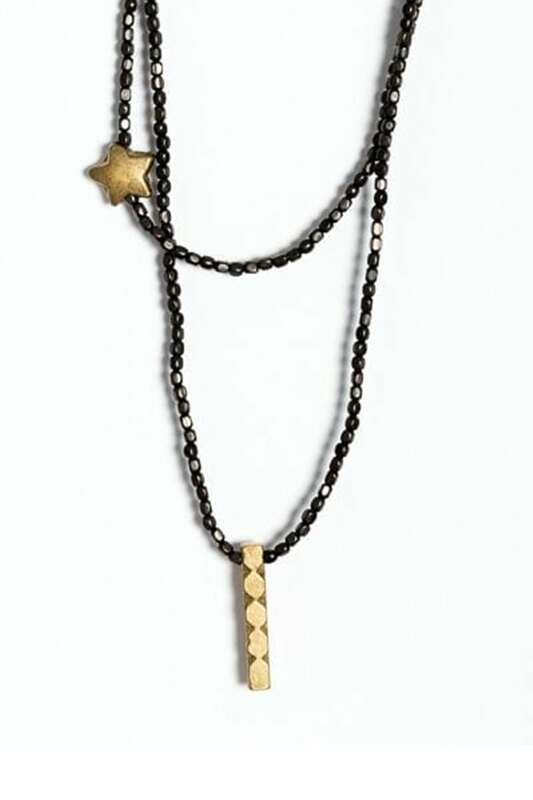 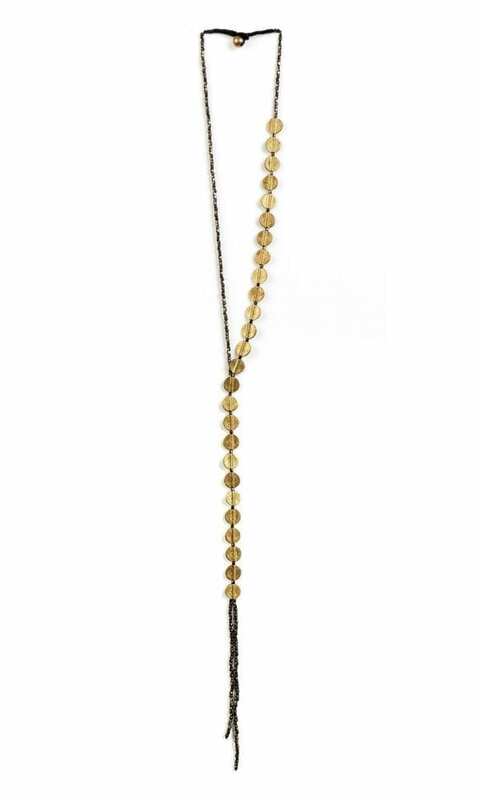 Two different pendants hang asymmetrically on two brass beads chains; a rectangle pendant, and a star. 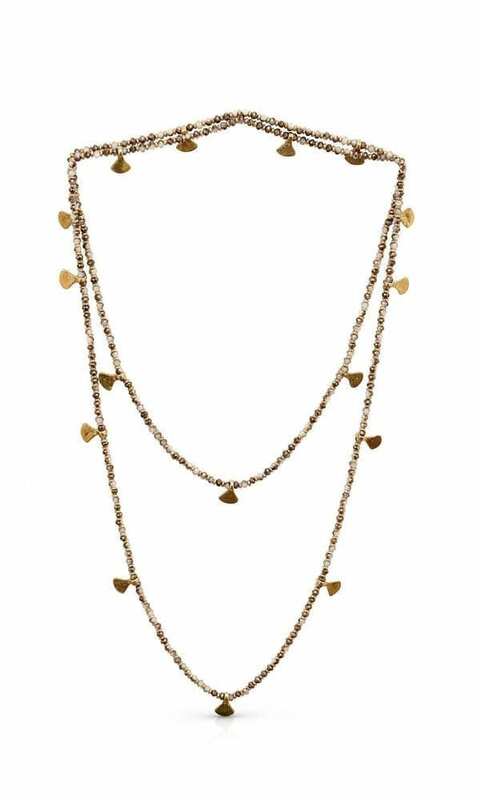 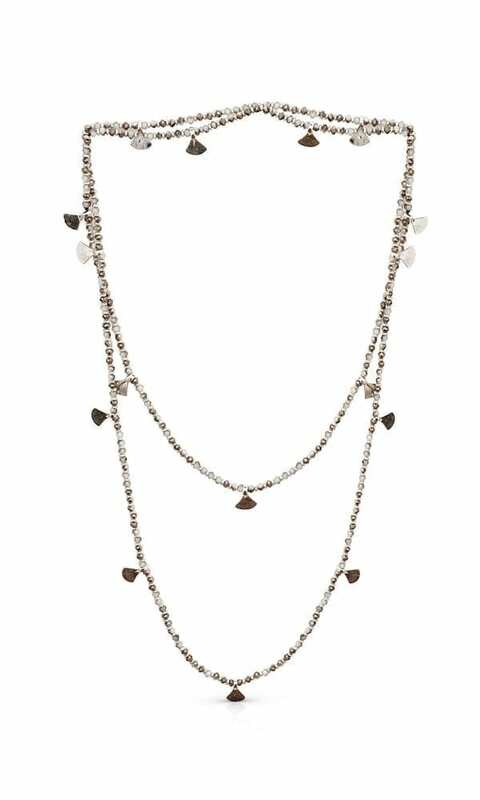 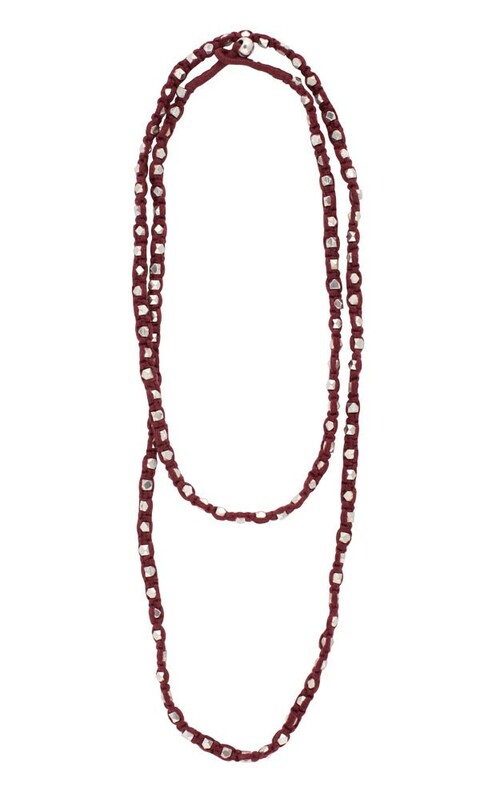 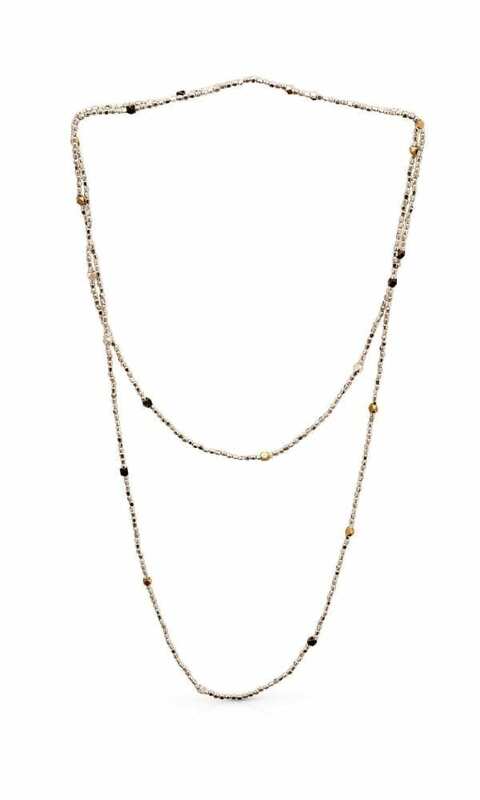 The Sweet Sixteen Necklace is the basic accessory that will add a touch of cuteness to your everyday look. 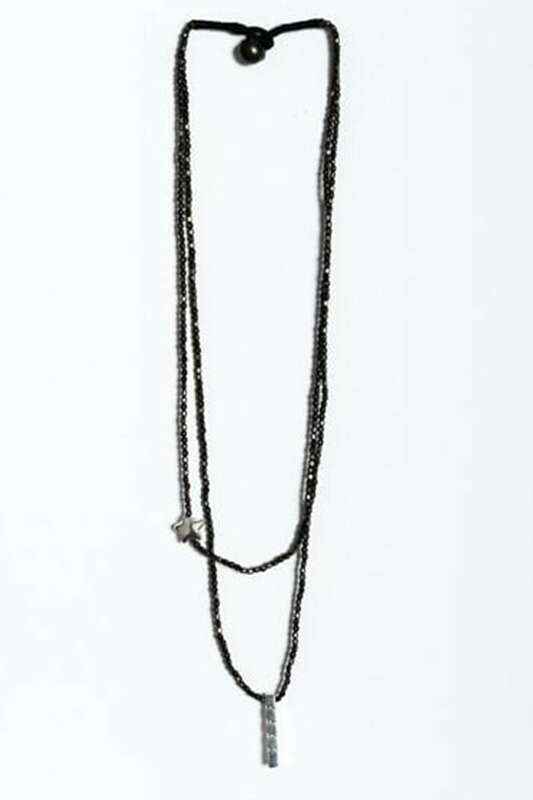 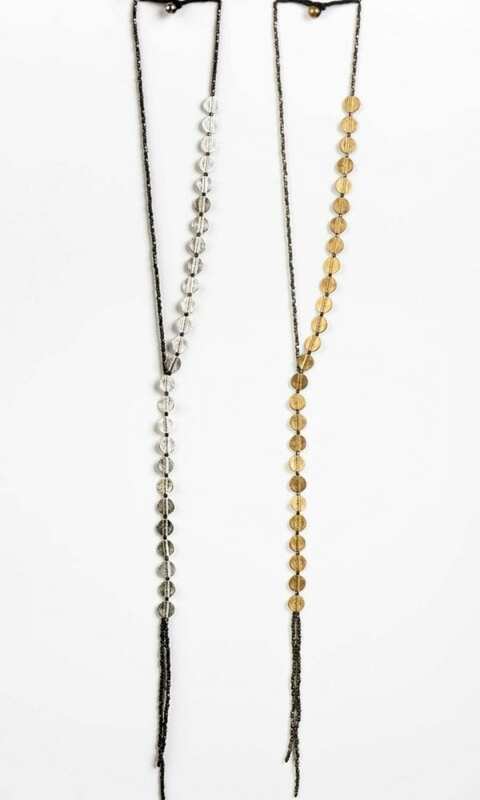 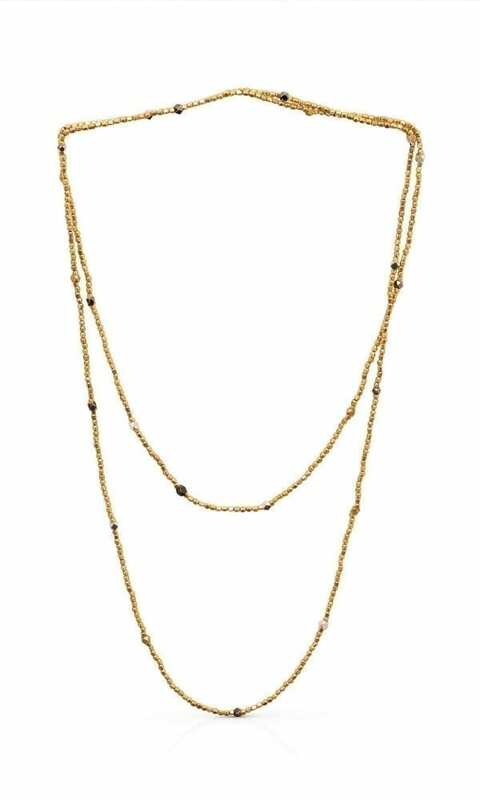 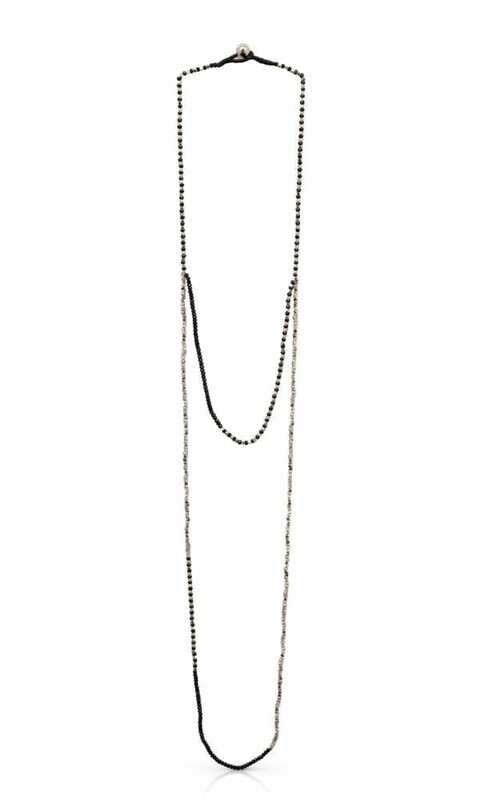 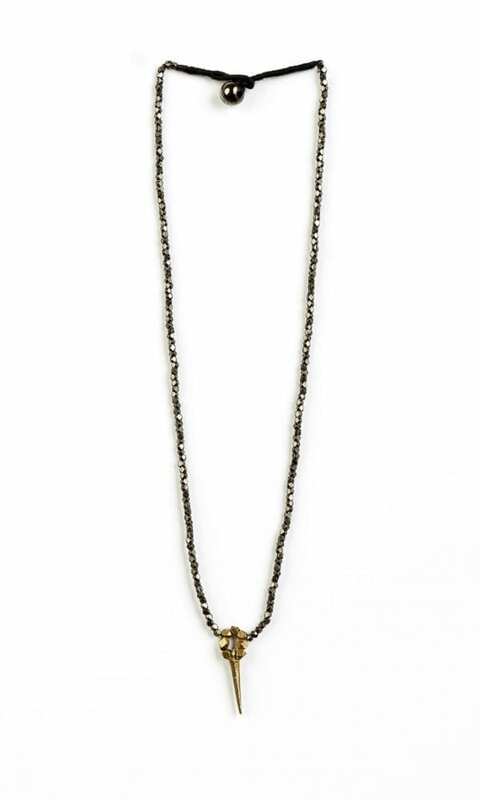 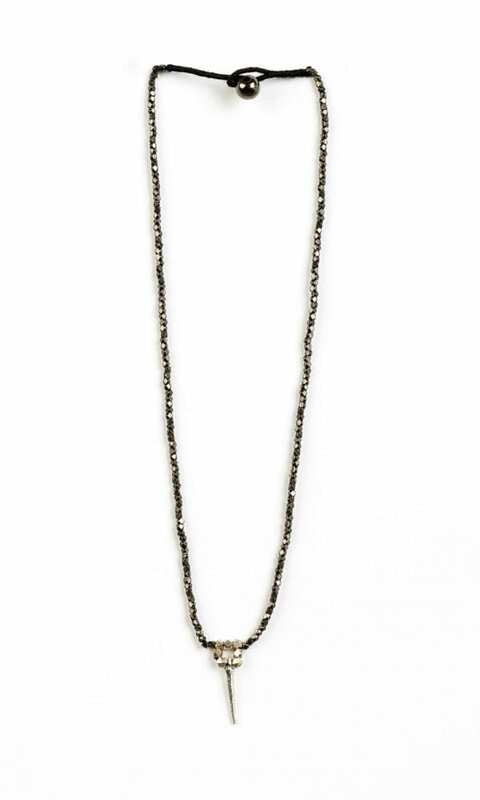 The Sweet Sixteen Necklace is available in two color combinations: black and silver plated, black-plated and gold-tone.